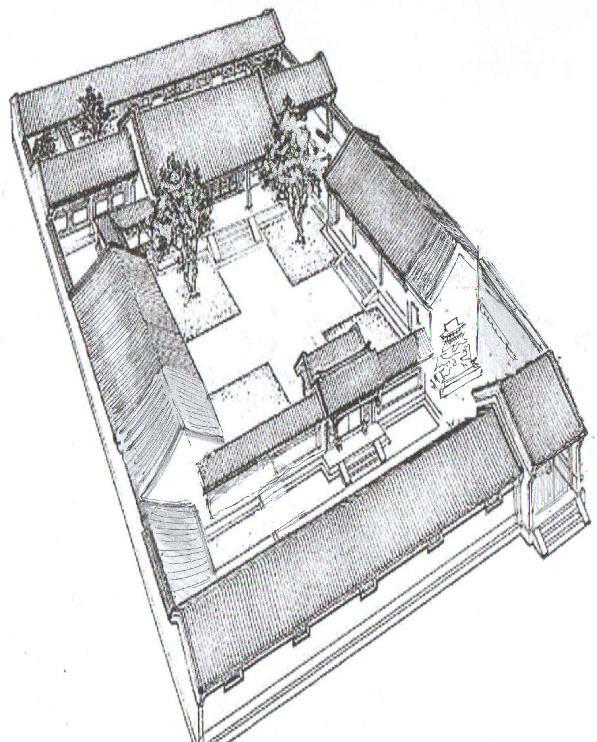 China Carbon Forum Chairman Dr Anton Smitsendonk gave a dinner in the “Serene Courtyard” (in Beijing’s Zhengjue hutong, see an artistic rendering of the courtyard below) in honor of Dr. Martin Lees, who for many years served the Club of Rome as its Secretary General. Dr. Martin Lees was visiting Beijing this June for the annual UN summit. Dr. Lees was responsible for the design and launching of OECD’s “InterFutures” program. During his tenure with the UN, he was responsible for establishing international cooperation with China, through the “China Council for International Cooperation on Environment and Development” and the “China and the World in the Nineties” programs. As Director General of the International Committee for Economic Reform and Cooperation, he developed and implemented programs in the Newly Independent States of the Former Soviet Union. He still meets with Gorbachev regularly. During the dinner, Dr. Lees shared his insight into the many serious challenges the world faces in the fight against climate change. Dr. Lees noted that by 2050, the world will be populated by 10 billion people, and energy output would have to be doubled to sustain such a large population. In addition to this, within the total population the middle class is estimated to rise to 3 billion, meaning the strain on the environment will become even greater. In the face of these daunting numbers, cutting emissions has become an issue of extreme urgency. Dr. Lees also noted that the issue of climate change is inextricably linked to economic growth. Despite many criticisms leveled against China’s one-child family planning policy, the Chinese still point to this measure as one of the greatest contributions to the fight against climate change. In addition to this, China has lifted hundreds of millions out of poverty. India, on the other hand, may present a more serious challenge to the climate, considering the severe lack of infrastructure there and a weak government. The evening was concluded by the statement that a sense of urgency is missing in the debate on climate change. Dr. Lees stated that there are still far too many people who believe that humans have played no part in climate change, and that by the time people become frightened about the issue of climate change, it may very well be too late. However, noting that China has taken major steps to cut emissions, Dr. Lees acknowledged that when China moves on this issue it will serve as an important signal in the overall fight against climate change, particularly by challenging other regions like the USA and Europe into greater competition.